When it comes to gaming consoles, the Nintendo Switch has a lot to offer. But it is not just limited to its marvellous gaming experience. There is even more to this interesting gadget. There are a number of tips and tricks that can help you get more out of it. Here are 8 tricks you should try with your Switch. Who doesn’t love to share their in-game achievements with friends? You can take screenshots when playing games or of your game scores. The trick is to press the tiny square button on the front bottom area of the left Joy-Con. The button looks almost like a ‘recording’ button. It has become a trend to share high scores with peers. This applies to both video games and casino games. Some casino gaming platforms such as Playtec have elegant interfaces developed for many casino sites. It is not just the high scores that are worth sharing, the graphics can be simply out of the world. The settings to allow you to view the battery percentage on the main screen, but many users prefer not to activate the feature. You could, however, check the battery % using a simple trick. Tap on the battery icon on the main screen and it will display the balance percentage of battery power for a few seconds before disappearing. If you want to type faster in the Switch, you could simply plug in a USB keyboard and start typing. Currently, this trick allows you to comment on photos and enter login information. If Nintendo expands the Switch’s functions in the future, you can do much more with your keyboard. Do you know that the Nintendo Switch has a photo editing tool too? You can not only edit photos, you can also post them on your social media account. 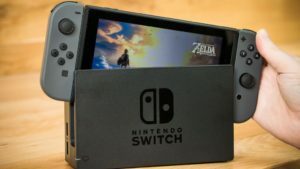 Do you know that you can turn off your Nintendo Switch? When you press the power button, the Nintendo Switch will go to ‘sleep’. The ‘quick settings’ menu allows you to do a lot more. It can be opened by pressing and holding the ‘home button’. Want your games to load faster on Nintendo Switch? The trick is to install the games on the internal memory. The loading time is shorter for the internal memory than for the SD card and the cartridge. Although there is a limitation to the internal memory, you can load the required game as and when you need to. 8. Want to Know Your Internet Speed? Switch tests the network speed and shows the Download/Upload speeds. Thus, there is so much more than you can get out of your Nintendo Switch. This makes it even more versatile gadget. So this console is much more than just about gaming. How to Download Android Apk from Google play store. How to Edit PDF Files Online? Hi my family member! I wish to say that this article is awesome, great written and include approximately all important infos. I would like to see more posts like this . Sure You can Check other Articles too. Click Here to go to Basictricks homepage.